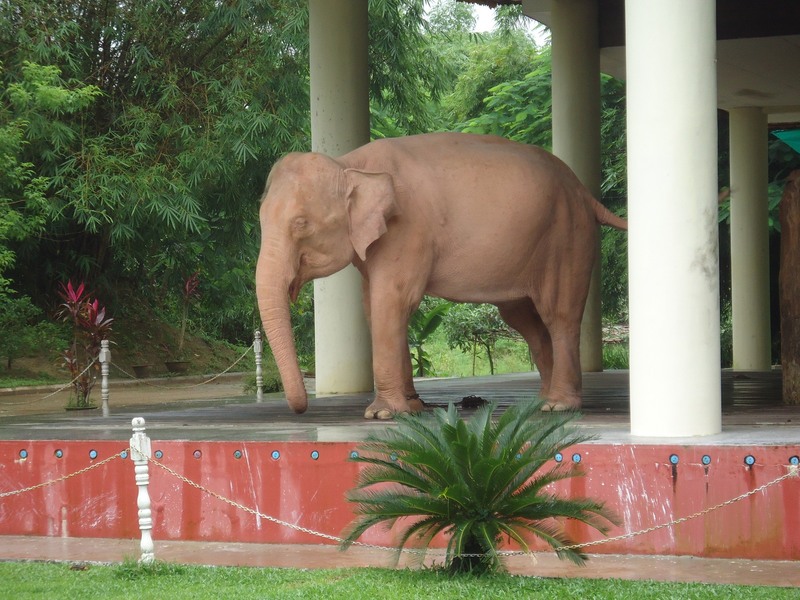 Pink and White elephants in Yangon in Myanmar! 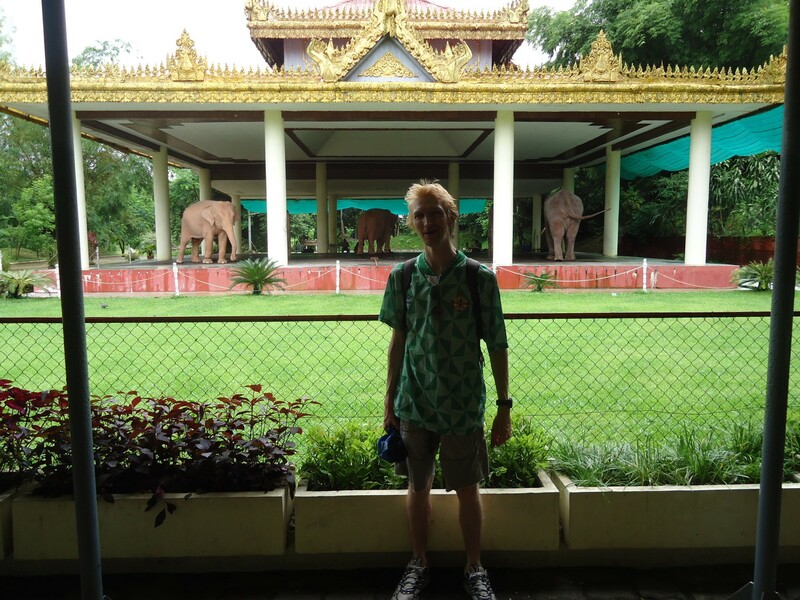 Yangon is full of surprises and I’ll name check my Swiss travel buddy Michael (who I met on the Yangon Circle Line train) for this little welcome diversion which saw us visit firstly the Marble Buddha and secondly three pink and white elephants! 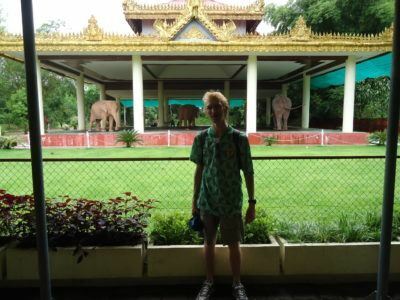 Yes, albino elephants in Yangon as I backpacked through Myanmar last week. It wasn’t planned at all and that’s the beauty of travel. 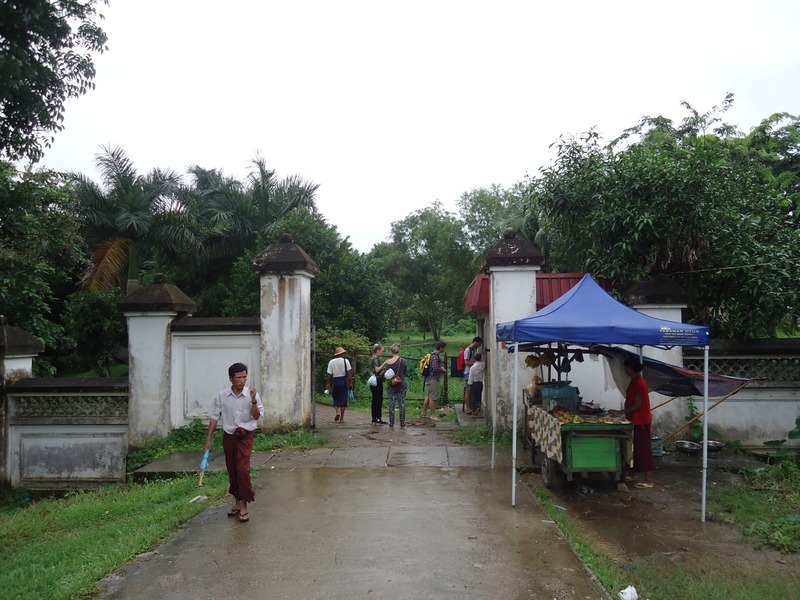 The less than obvious entrance to the pink and white elephant viewing point in Myanmar’s old capital city of Yangon. Take the circle line train in Yangon from Yangon main train station (this costs $1 US for a round trip) and get off at Insein station. From there it’s a 20 minute walk along a main road, first of all you will get to the Marble Buddha on your left. I’m being very vague here, but that’s how we found it! Ask people if you get lost, which you will. Secondly you will find an odd unassuming entrance on the right hand side just about 200 metres past the Marble Buddha entrance. One of the pink and white elephants in Yangon, Myanmar. This is where you can view the pink and white elephants! It’s totally untouristy and even the entrance sign isn’t obvious. But the locals will know if you ask them. These are albino elephants. 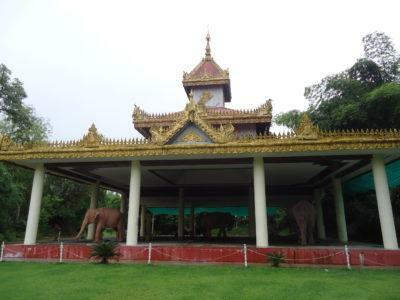 The pavilion that houses the three pink and white elephants in Yangon, Myanmar. 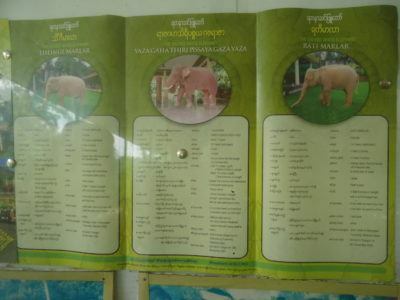 How much does it cost to visit the Pink and White Elephants in Yangon? Entrance is free, which I found bizarre, but you can leave a voluntary donation. 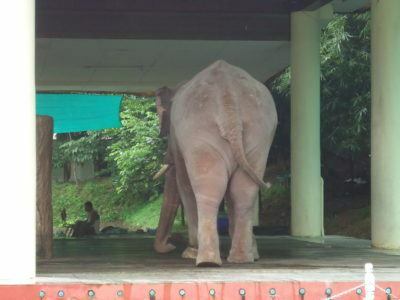 You can also buy some drinks and snacks at the kiosk beside the elephants. One of the albino elephants you can see in Yangon, Myanmar. What’s interesting about the pink and white elephants in Yangon? Their colour. There are three of them, one male and two females and they are not brown or grey. Their skin colour is faded and sort of pink/white. It’s unusual to find such elephants and that alone makes it worth the trip. 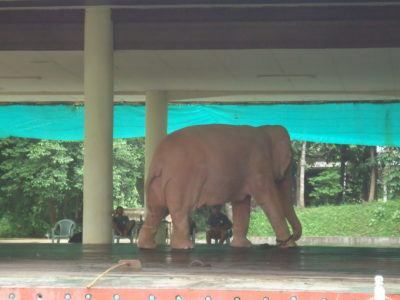 They are “albino elephants” and have been separated from their counterparts for this reason. It reminded me a bit of the time I saw white wallabies in Australia, at Bruny Island. They are housed in a typically Asian Pavilion and you can stand and look at them, taking photos. Local guys hanging around can answer any questions you have about them. Admiring the three pink and white elephants in Yangon, Myanmar. If you’re into your treatment of animals, and particularly elephants (as fellow travel blogger Forest Parks of Everyday Nomad is) then this might alarm you that they are tied to a chain. They are well fed and worshipped by the locals, though yes, you may not agree with their treatment. If they’re getting fed and washed, I’m personally ok with it. Information on the three elephants, one male and two female housed here in Insein. This entry was posted in Asia, Burma, Myanmar, Yangon. Bookmark the permalink. Beautiful animals – glad you posted this because I had no idea there was anything beyond grey. You’re personally ok with them being chained?? These animals are losing their minds. I too have traveled extensively around the world including most countries within Asia. I have never seen animals more clearly stressed than these. 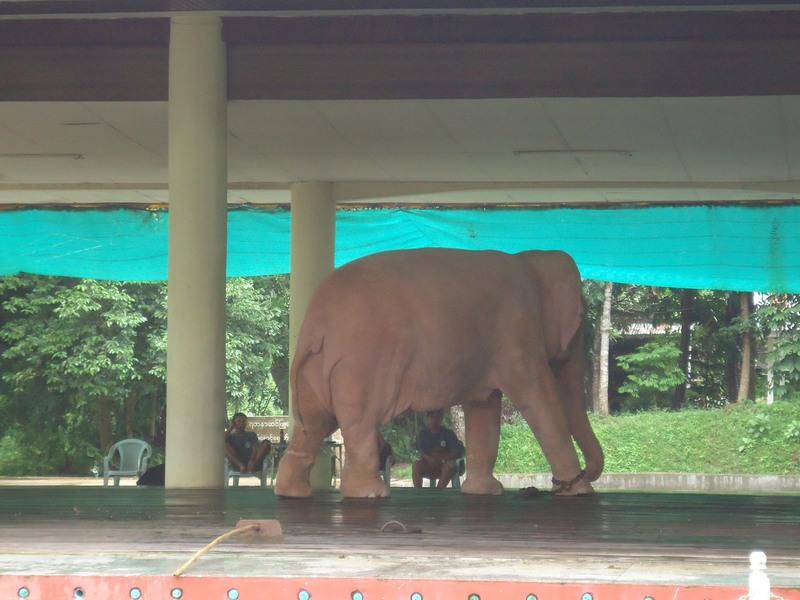 I will do anything i can to stop this treatment and that includes encouraging any tourists to boycott this place , hence my reply to your blog.